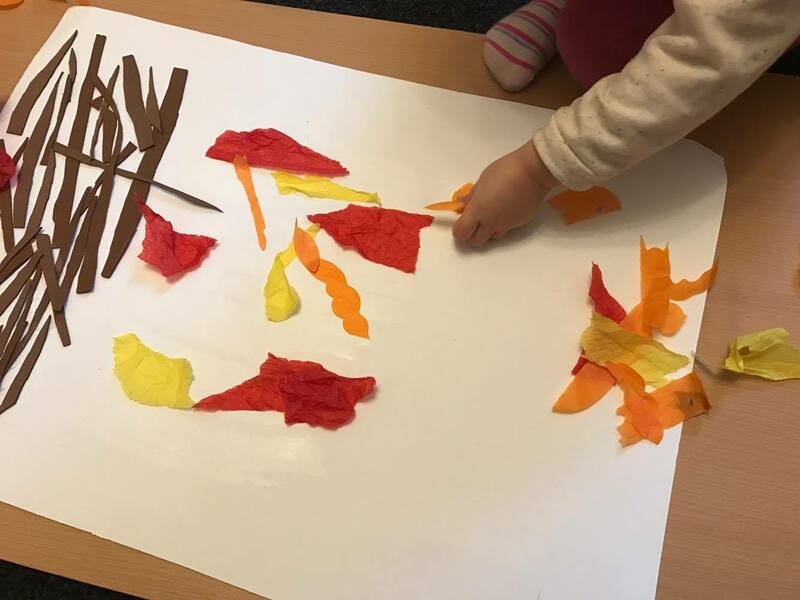 Lily's Little Learners: A Crafty way to Make a Bonfire! A Crafty way to Make a Bonfire! 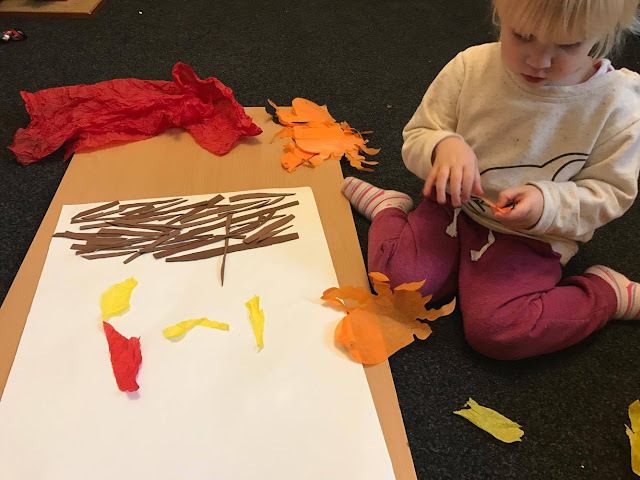 Last year we had lots of fun painting our own bonfire and making firework pictures with paint. So this year I thought we would do something a little different. 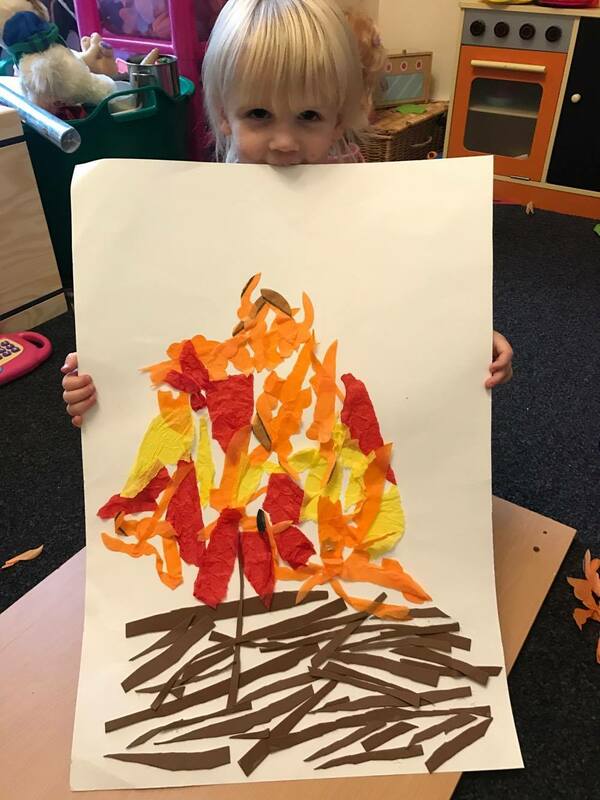 Lily really enjoys sticking and so I decided that our bonfire picture this year would be made from tissue paper. I decided we were going to make it a nice big bonfire so got Lily a big piece of white card. This was going to be a joint effort between us so there would be plenty of sticking fun to be had. 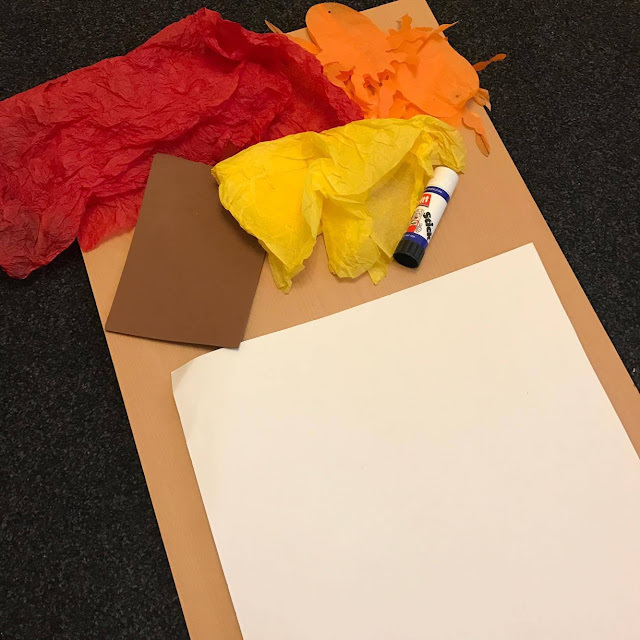 So to make our bonfire, all I got was some red, yellow and orange tissue paper and some foam to make the sticks. I was going to use real sticks but we didn't have chance to go out and collect any due to Lily being ill. But this is something you could think about doing. 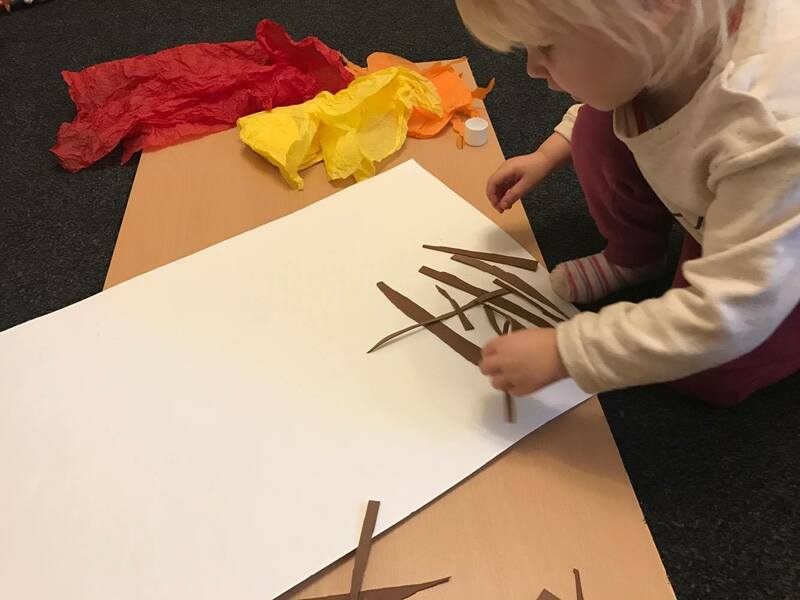 I cut out all the brown foam into different size stick looking shapes and lily added the glue and stuck them down. Lily did a great job with this and actually did most the sticking and knew to fill in the empty gaps. After our base for the bonfire was done, we started ripping up the pieces of tissue paper to create our fire. Lily did a great job of ripping and sticking, though got bored after a little bit and so I finished the top of the bonfire. Overall this is such an easy activity to do and as you don't need to buy much its also a really cost effective activity to do. Here is the activity in picture form. Will you be making a bonfire picture this year? What a good idea my grandson loves anything involving sticking. I love this. This sort of project is the only thing that all 3 of my children would sit down and do nicely and quietly together. What a lovely idea. I don't like bonfires as I always imagine there is a hedgehog or lost cat hiding underneath it. Why don't they put up something to keep animals out? Love the idea of a picture instead. Might do, seems a good idea. That's lovely! This is a great idea; simple, but with really impressive results. Love a good craft project! I'll have to try this next year! Lovely picture, well done Lily, it looks lovely. Crepe paper is great for arts and crafts, etc.